Explore Felix Mendelssohn's life through an interactive concert featuring one of his most famous and controversial symphonic works: Symphony No. 5 "The Reformation" Kinnor will speak about Mendelssohn's family history and life, some surprising elements in his music and his ties to the Reformation. Kinnor Philharmonic is an ensemble composed of both Jewish and non-Jewish musicians. 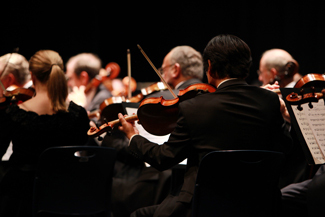 In sharing historical connections through educational artistry, we are dedicated to bringing to the Greater Kansas City Community, performances that reflect the long traditions of the symphonic repertoire and the rich diversity of the Jewish heritage.